Motherhood is an impossible balancing act between love and fear. 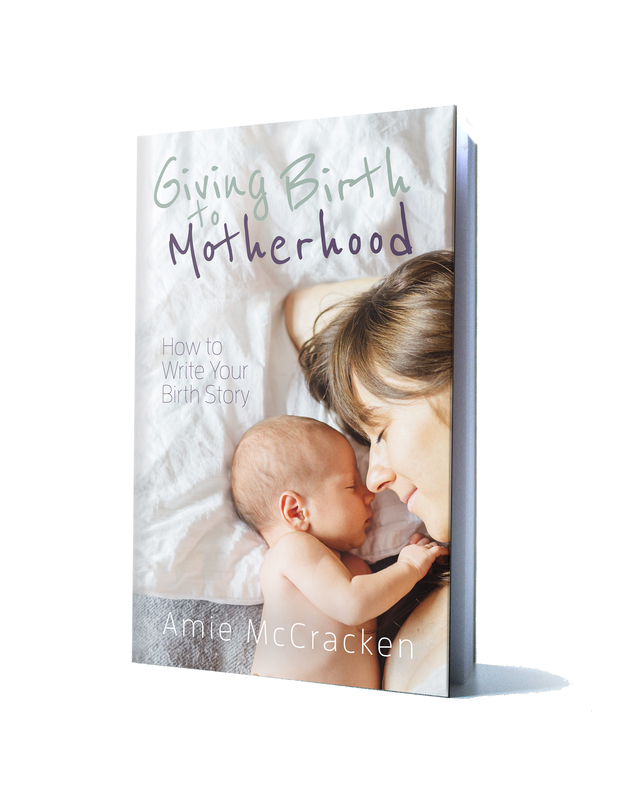 Giving Birth to Motherhood will heal your birth story through writing. A mixture of essays and writing prompts break the process down into baby steps and address concerns from different perspectives. This all culminates in catharsis: finding relief from strong emotions. You will create a birth story you can be proud of, or one that you can burn in a fire and never think of again. The point is, it will be out of your head and down on paper where you can begin to move on. Your motherhood journey deserves a good foundation. Let’s start the healing you need to build upon. Amie McCracken edits and typesets books for self-published authors and helps writers polish their work. She is a book doctor, and she runs a program for writers to get their novel written in six months. Four months after her son was born, she sat down with a journal and a pen and wrote her entire birth story without stopping. She had thought she was content with what happened, but through the writing she learned more about herself than she could have ever imagined. And that was when she felt compelled to bring that same healing to other mothers through a book like Giving Birth to Motherhood.